Jeff is a Sound Engineering graduate from the SAE Institute, Cape Town and has consistently wowed judges and the audience by going all the way in each of his performances. 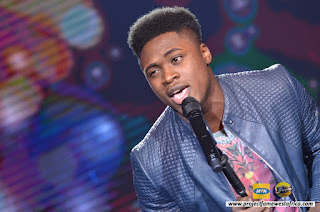 Jeffrey emerged as the 2015 MTN Project Fame winner. The 18 year old beat 5 other finalists to emerge the winner of the 8th season of MTN Project Fame. He joins the likes of Iyanya, iMike, Ayoola, Chidinma, Monica, Olawale and Geoffrey as a Project Fame superstar.